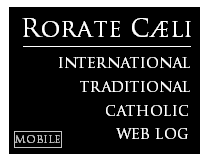 RORATE CÆLI: De Mattei: "The failed Synod: everyone defeated; and Catholic morality in particular"
De Mattei: "The failed Synod: everyone defeated; and Catholic morality in particular"
The day after the XIV Synod on the Family, everyone seems to have won. Pope Francis has won, since he was able to find a compromising text among the opposing positions; the progressives have won since the approved text admits the divorced and remarried to the Eucharist; the conservatives have won, since the document doesn’t contain an explicit reference to Communion for the divorced [and remarried] and rejects “homosexual marriage” and the gender theory. In order to understand better how things actually went, we need to go back to the evening of October 22nd, when the Synod Fathers were given the final report, worked on by an ad hoc commission on the basis of the amendments (ways) to Instrumentum laboris, proposed by the work groups which were divided by language (circuli minors). 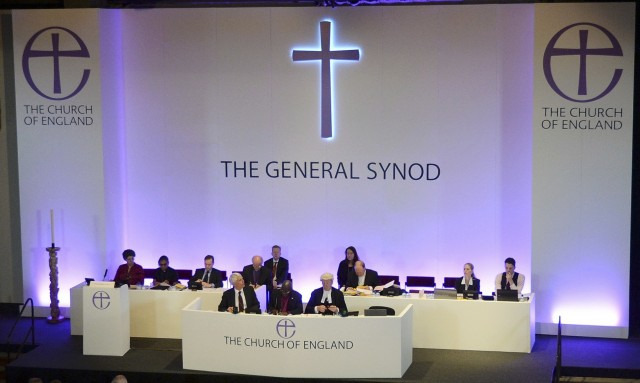 51 Synod Fathers in fact intervened in the debate, most of whom opposed the text backed by the Holy Father. Among these the Cardinals [were]: Marc Ouellet, Prefect for the Congregation of Bishops; Joseph Kurtz, President of the American Episcopal Conference; AngeloBagnasco, President of the Italian Episcopal Conference; Jorge Liberato Urosa Savino, Archbishop of Caracas; Carol Caffarra; Archbishop of Bologna; and the Bishops: Zbignevs Gadecki, President of the Polish Episcopal Conference; Henry Hoser, Archbishop- Bishop of Warszawa, Prague; Ignace Stankevics, Archbishop of Riga; Tadeusz Kondrusiewicz, Archbishop of Minsk-Mohilev; Stanislaw Bessi Dogbo; Bishop of Katiola ( The Ivory Coast); Hlib Borys Sviatoslav Lonchyna, Bishop of Holy Family of London of the Ukrainian Byzantines, and many others, all voicing, in different tones, their disagreement with the text. The document could certainly not be re-presented the following day in the Hall, without the risk of it being put in minority and causing a big split. The solution for compromise was found following the way outlined by the “Germanicus” circle, which included Cardinal Kasper, the icon of progressivism, and Cardinal Müller, Prefect for the Congregation of the Faith. Between Friday afternoon and Saturday morning, the Commission revised the new text, which was read in the Hall on Saturday morning, October 24th, and then voted on in the afternoon, obtaining for each of the 94 paragraphs the qualifying majority of two-thirds, which with the 265 Synod Fathers present, was equal to 177 votes. Discernment and Integration is the title of numbers 84,85 and 86. The most controversial paragraph, n. 85, which establishes an aperture to the divorced and remarried and the possibility for them to receive the Sacraments – even without mentioning Communion explicitly – was approved by 178 votes in favour, 80 against, and 7 abstentions. Only one vote more with respect to the quorum of the two thirds. Pope Francis’ image does not emerge strengthened but tarnished and weakened at the close of this assembly of Bishops. The document he had backed was openly rejected by the majority of the Synod Fathers on the morning of the 23rd, which was his “black day”. Pope Bergoglio’s concluding speech expressed no enthusiasm at all for the final Relatio, but reiterated displeasure at the Synod Fathers who had defended traditional positions. The progressives were also defeated, seeing that not only any positive reference to homosexuality was removed, but also the aperture to the divorced and remarried is much less explicit than they would have wanted. Yet the conservatives cannot sing the victory [either]. If 80 Synod Fathers, a third of the assembly, voted against paragraph 86, it means that it was unsatisfactory. The fact that this paragraph was passed for one vote does not cancel the poison that it contains. According to the final Relatio, the participation of the divorced and remarried in ecclesial life may express itself in “different services”: therefore it is necessary: to discern which of the different forms of exclusion currently practiced in a liturgical, educational, pastoral, and institutional role that can be overcome. They should not only not feel excommunicated, but they should live and mature as living members of the Church,” (84); The path of accompaniment and discernment orients these faithful to becoming conscious of their situation before God. The conversation with the priest, in internal forum, concurs to the formation of a correct judgment on what prevents the possibility of fuller participation in the life of the Church and on the steps that may favor it and make it grow” (86). But what does being “a living member” of the Church mean, if it doesn’t mean being in a state of grace and receiving Holy Communion? And “fuller participation in the life of the Church” does it not include, for a lay person, the participation in the Sacrament of the Eucharist? It says that the forms of exclusion currently practiced in the liturgical, pastoral, educational and institutional spheres can be overcome, “case by case”, following a “via discretionis”. Can the exclusion from Sacramental Communion be overcome? The text doesn’t affirm it, but neither does it exclude it. The door is not wide open, only ajar, and so it’s not possible to deny that it has been opened. The Relatio, doesn’t affirm the right for the divorced and remarried to receive Communion (and thus the right to adultery), but it denies the Church, de facto, the right to publically define as adulterous, the condition of the divorced and remarried, leaving the responsibility for evaluation [of this] to the conscience of the pastors and the divorced and remarried themselves. Taking up again the language of Dignitatis Humanae, it is not about an “affirmative” right to adultery, but a “negative” right of not being prevented from exercising it, in other words, of a right to “immunity from any coercion in moral matters”. Just as in Dignitatis Humanae, the fundamental distinction between the “internal forum”, regarding the eternal salvation of individual believers, and the “external forum”, related to the public good of the community of believers, is cancelled. The morality of inculturation, that of “case by case”, relativizes and dissolves the moral law, which by definition is absolute and universal. There are no good intentions, nor extenuating circumstances which can transform a good act into a bad one or vice versa. Catholic morality does not admit exceptions: it is absolute and universal or it isn’t a moral law. The newspapers then are not wrong when they presented the final Relatio with this title: “The absolute prohibition for Communion to the divorced and remarried falls”. In the end we find ourselves faced with an ambiguous and contradictory document, which permits everyone to shout victory; even if nobody has won anything. 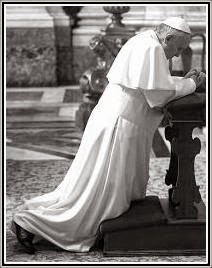 All have been defeated, starting with Catholic morality which emerges profoundly humiliated by the Synod on the Family concluded on October 24th.